The 2015 Portuguese Hansa Class Championships have been concluded in Portimaoa. 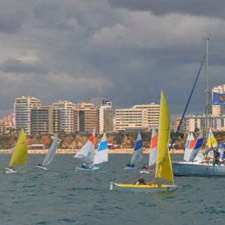 The 2015 Portuguese Hansa Class Championship were marked by moderate wind, predominantly from the southwest, but it freshened in the afternoon. 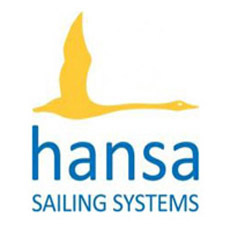 7 races were held throughout the day, the first five with race course at sea – two for the Hansa 2.3 class and three races for 303 double class. Due to the harsh conditions, additional races were held in the outer harbor – one for the 2.3, and another 303 individuals. In the 303 two person competition, João Pinto and Guilherme Ribeiro from Yacht Club of Marina de Portimão finished the regatta in 1st place after a second place and two victories. The team of André Bento / Pedro Reis and Ana Cunha / Carlos Araújo of Cascais Naval Club finished the 1st day of the race in 2nd and 3rd place respectively. In the Hansa 2.3, José Carvalheiro of Viana do Castelo Sailing Club finished in 1st place after three straight victories in the races of the day. Lucio Silva and Rui Dowling, both the Clube Naval da Horta ended the regatta in 2nd and 3rd place. 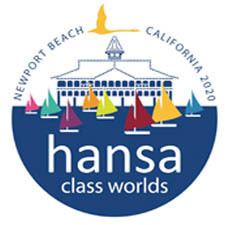 In the Hansa 303 single person, John Pinto from the Yacht Marina of Portimão Club finished at the top of the leader board, followed by Pedro Reis and Ana Cunha of the Naval Club of Cascais. Organisers highlighted the effort of Guilherme Ribeiro, who debuted on the race course in very harsh conditions in the 303 singles, finishing in 5th place.